Jinx star and person doing a very good impression of someone extremely guilty Robert Durst has been indicted in New Orleans on charges of illegal possession of a firearm by a felon and illegal possession of a firearm in the presence of a controlled substance. Durst, who will appear in court this morning to be arraigned, may also be facing federal gun charges. Indeed. 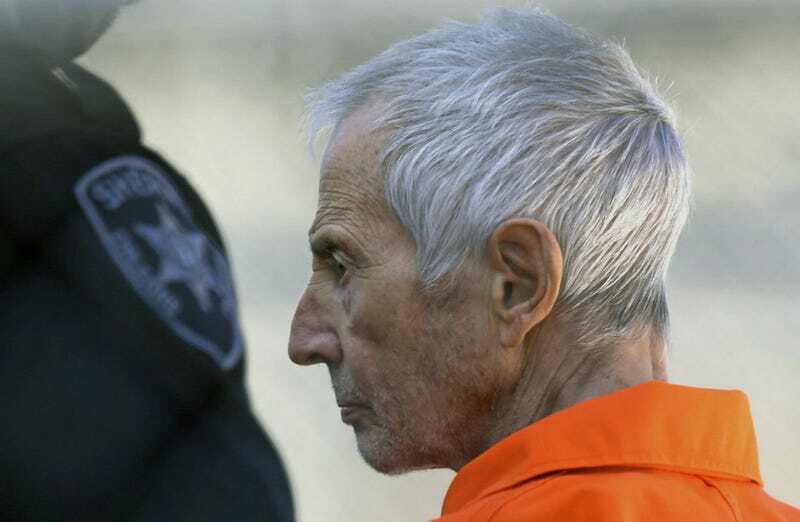 Woe to poor, piled upon Robert Durst. He’s currently being held at the Elayn Hunt Correctional Center in St. Gabriel, Louisiana. The U.S. attorney in New Orleans has asked that he leave Elayn only to face these possible federal charges, and then be returned to the facility. When Durst was arrested in New Orleans, the party favors he was carrying included the .38-caliber revolver, a latex mask, a map showing Florida and Cuba, five ounces of marijuana, a valid passport, a fake Texas ID card, and $45,000. He also had a package slip for a package that, when seized, contained another $117,000.